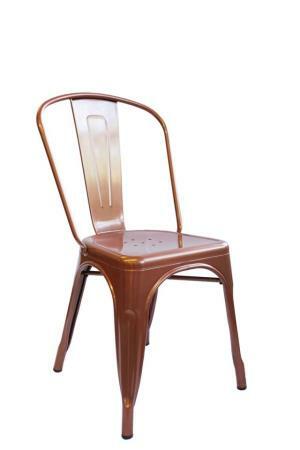 This Gun Metal Cafe chair in copper brings together contemporary design with industrial styling. Built from heavy-duty steel. The copper finish will brighten any room, allowing it to easily coordinate with existing decor or add one of a kind flair for events with multiple design elements. 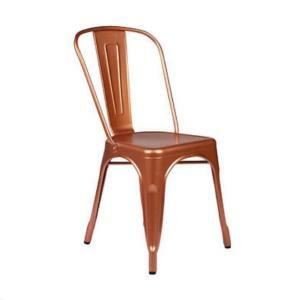 * Please call us with any questions you may have about our gun metal cafe chair copper in the San Francisco Bay Area.